Jump aboard the sushi boat and kimono-over for a party – it’s World Sake Day today. We’re not being ‘sarky’, we’re genuinely excited about this annual tribute to our favourite Japanese spirit. 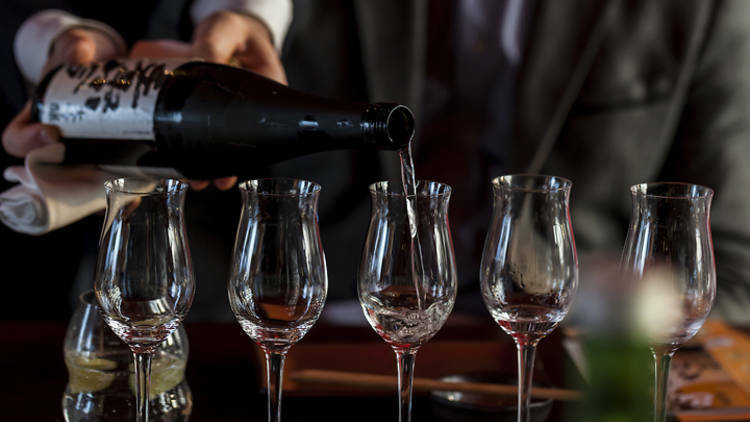 Celebrated worldwide, the date traditionally marks the start of sake production in Japan – and London isn’t going to miss out on a party, especially when there’s booze involved. Head up to the sushi gods at Sushisamba for a special range of sake inspired dishes, cocktails and sake-serving Geisha; or stay on ground level for 20 percent off sake at The Japan Centre. Or why not take a trip to any Shoryu Ramen restaurant to try their celebratory flight of three different sakes (including Namazake – the chosen tipple of the Japanese Imperial Household). This is a whole day dedicated to Japan’s national booze, so go on, get into the spirit. Kanpai!